This summer the Allegheny Conference is taking its 2015-2017 Agenda on the road. 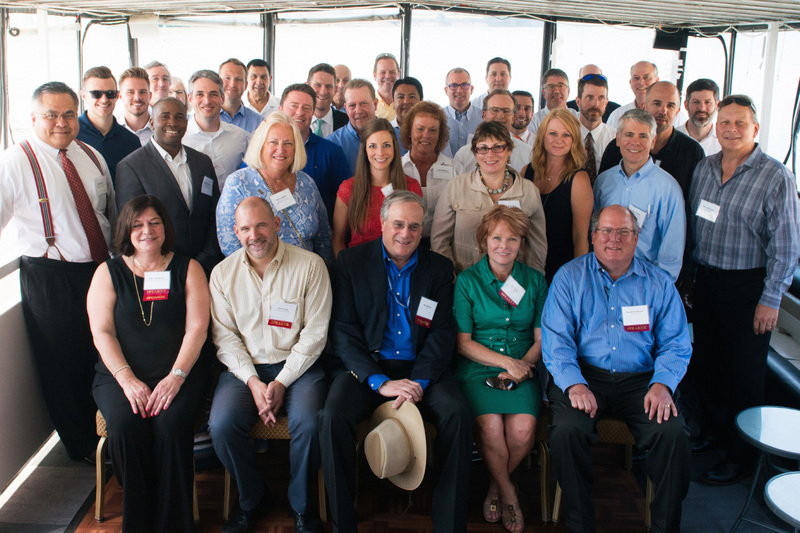 As a Regional Investors Council member, you are exclusively invited to join us and Allegheny Conference and Affiliate board members on the ground throughout the Pittsburgh region for a series of Experiences that will explore the progress and remaining challenges of our current Agenda. 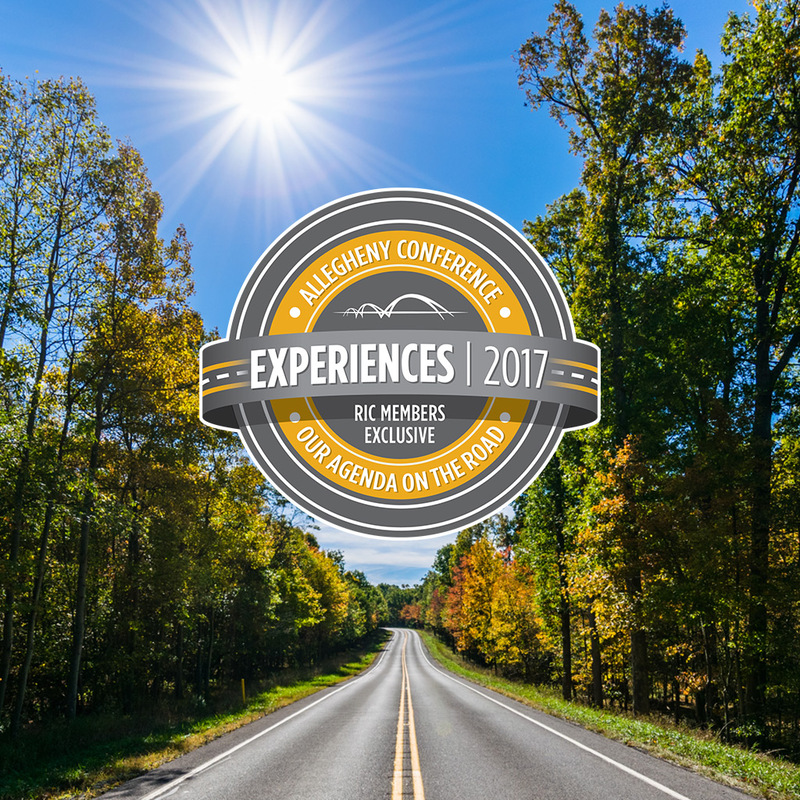 The Experiences focus on six topics: community development; the natural gas supply chain; advanced manufacturing; storm water and lock and dam infrastructure; transportation infrastructure; and workforce. As we reach the end of our 2015-2017 Agenda and think ahead towards 2020, we will look to gather your feedback and impressions on how we’ve done so far. Join us as we continue to advance the region together. We encourage you to register as soon as possible for an Experience, as the first event takes place July 11th. Please feel free to register for more than one if you are available and interested. As events approach, we will be providing detailed agenda and logistics information – including where to meet, parking information and a list of speakers. For questions, please contact Sara Gaal, director, investor relations, at sgaal@alleghenyconference.org. On July 11th, the Allegheny Conference, Operation Better Block of Homewood and the Wilkinsburg Community Development Corporation hosted members of the Conference’s Regional Investors Council on an exclusive tour of Homewood and Wilkinsburg that explored the revitalization efforts in these two Strengthening Communities Partnership (SCP) communities. We thank Operation Better Block, Wilkinsburg CDC, Hosanna House and Bridgeway Capital for their participation, and we also thank KeyBank for sponsoring the Experiences series. 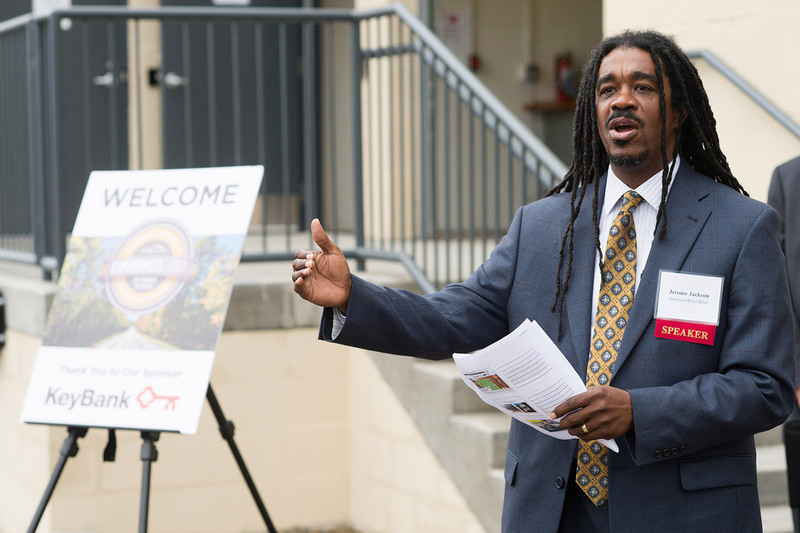 The group kicked off the day with a tour of 7800 Susquehanna – a building undergoing significant restoration and housing local businesses – led by Jerome Jackson of Operation Better Block, John Wallace of the University of Pittsburgh and Bible Center Church and Bridgeway Capital’s Mark Peterson. 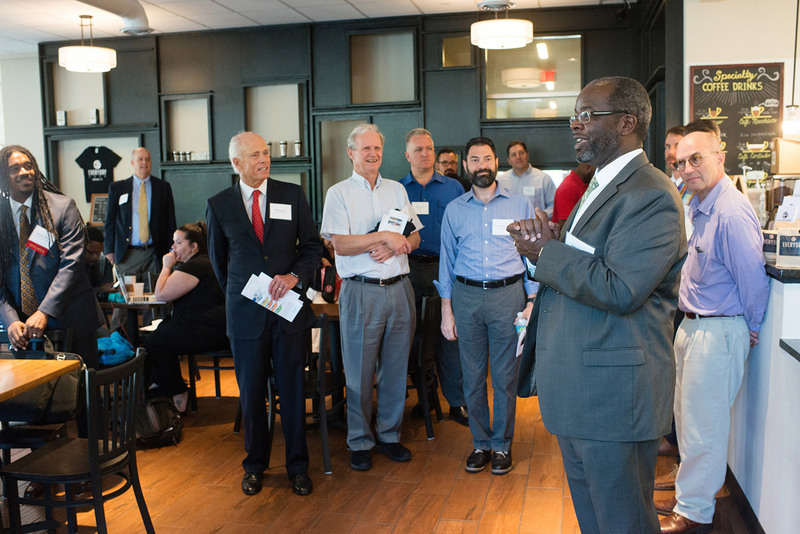 Representatives of organizations located in the building – including the University of Pittsburgh’s Manufacturing Assistance Center, Rebuilding Together Pittsburgh and the Trade Institute of Pittsburgh – informed the group about the housing, commercial and workforce development projects underway, efforts funded by private investment and fueling growth opportunities for neighborhood residents. 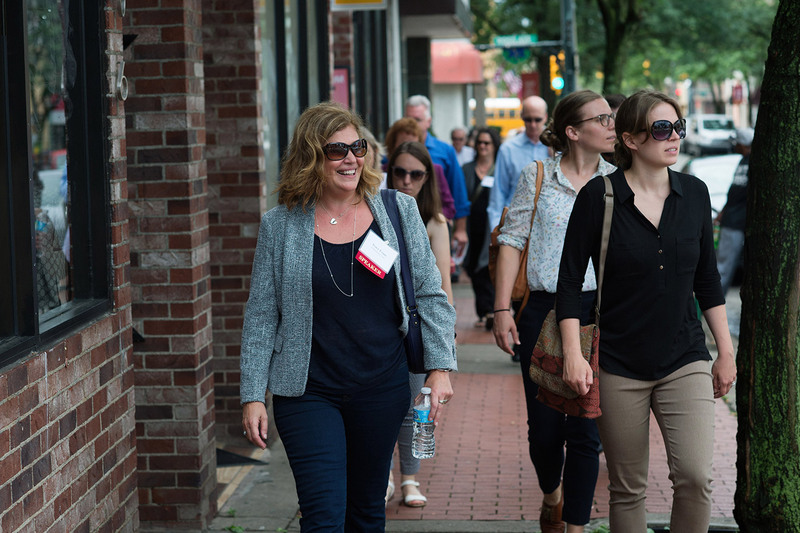 We’re appreciative of the Allegheny Conference in bringing new companies and leadership of companies around community development. The experience is valuable and provides validity to the needs of the community and incentive to meet those needs. Following the tour at 7800 Susquehanna, we stopped at the Everyday Café – Pittsburgh’s first cashless coffeehouse located in the $11.5 million Homewood Station multi-use development – on the way to the adjacent neighborhood of Wilkinsburg. 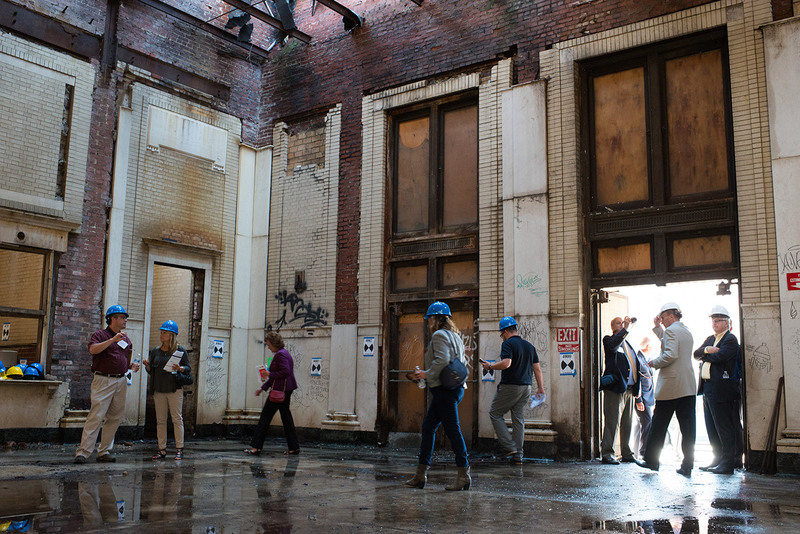 Led by Tracey Evans, executive director of the Wilkinsburg Community Development Corporation, the group took a look inside the ongoing renovation of the historic 9,000 SF Wilkinsburg Train Station and walked to the Hosanna House, stopping along the way to talk about the community’s small businesses and commercial development plans. The tour ended with an engaging conversation about additional ways to get involved with the SCP program. For more information on SCP, visit alleghenyconference.org/scp. 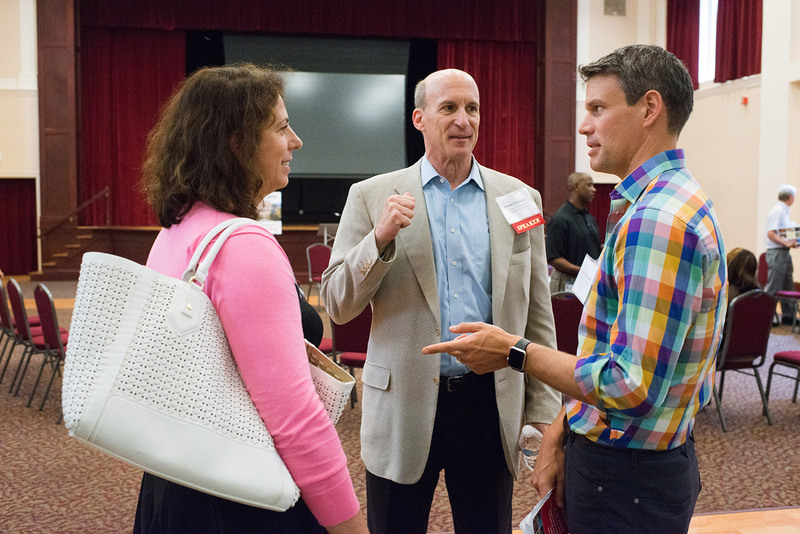 If you’re interested in getting more involved in the program, please contact the Conference’s Will Bernstein at wbernstein@alleghenyconference.org or 412-281-4833 Ext:3122. 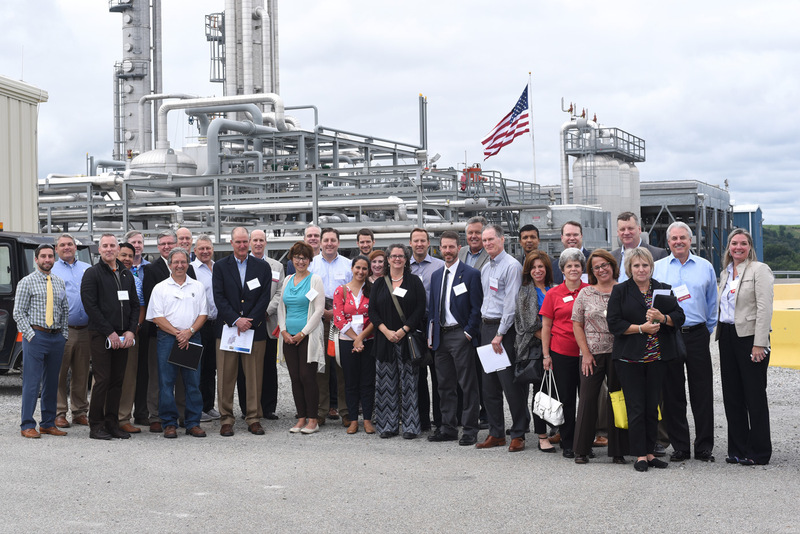 Three dozen Pittsburgh region business leaders recently got an up-close picture of how our region’s natural gas resources are turned into everything from home heating fuels to high-tech components to everyday consumer goods. But they also broadened and shared their understanding of the opportunities of all kinds that cascade from the exploration and production of the Marcellus and Utica Shale gas formations. 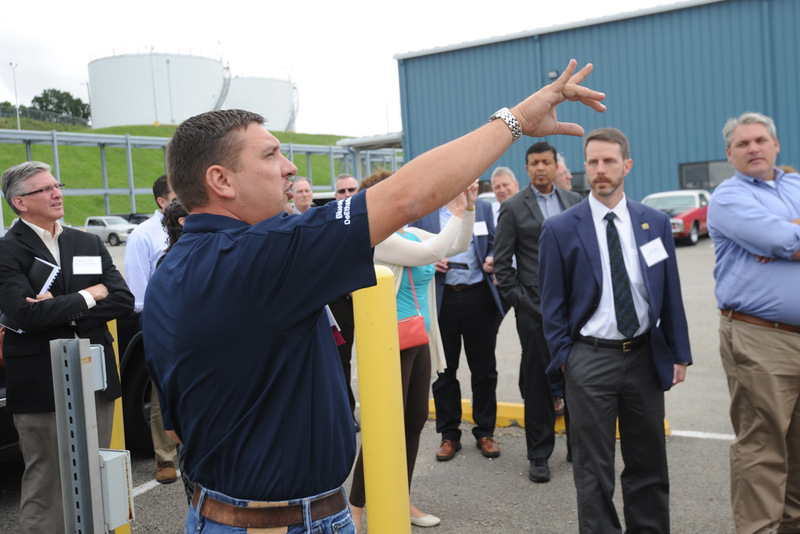 Some 30 executives, lawyers, educators, real estate professionals and recruiters – all from the Allegheny Conference’s 300-plus Regional Investors Council – toured the control room and grounds of MarkWest Energy Partners processing and fractionation facility in Houston, Washington County as part of the Conference’s Experiences tours. 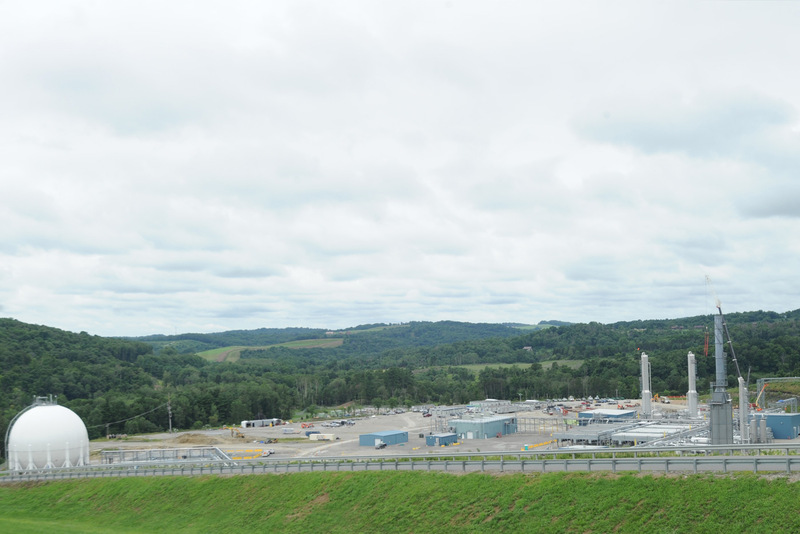 They also visited the vast Monaca, Beaver County site where Shell’s ethane cracker is being constructed and will employ 600 once fully operational. Seven years ago, Zach Huth gambled on the notion that the demand for talent in the natural gas workforce would be more than a flash in the pan. He started his own recruiting company and cannot hire quickly enough. Dr. Philip K. Way, interim president of Slippery Rock University, joined the tour to learn more about the job market for his students. In addition to graduating civil, chemical and environmental engineers from its Lawrence County campus, the university recently created a five-year petroleum and natural gas engineering program. 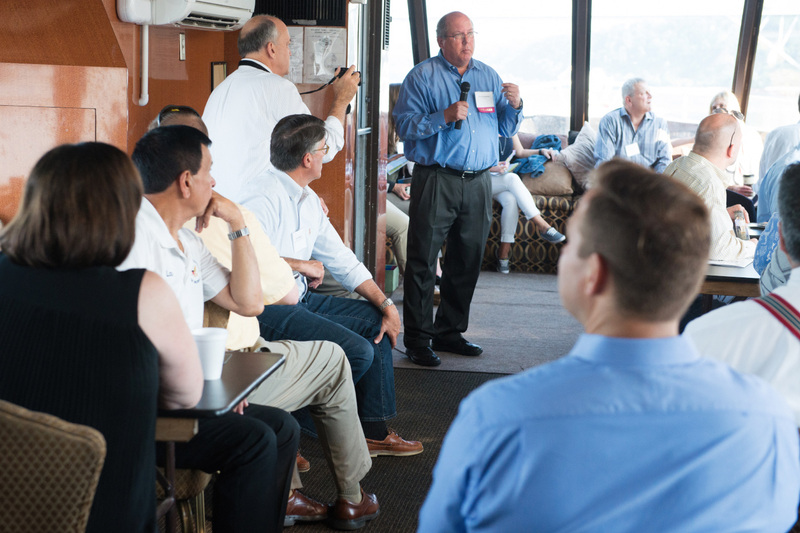 If you are interested in learning more about natural gas investment – or business investment in general – in the Pittsburgh region, please contact David Ruppersberger, president of the Pittsburgh Regional Alliance. There’s still a few spots left on our August 29th Experiences. Please scroll down for more information and to register. At ATI’s Hot-Rolling and Processing Facility along the Allegheny River in Brackenridge, specialty metals like stainless steel and other alloys are made to finely-tuned specifications for use in the aerospace, automotive, oil and gas, chemical and medical industries, to name a few. ATI invested $1.2 billion in the one-of-a-kind-worldwide facility in the northeastern corner of Allegheny County. It’s not the kind of investment you make for the short term. “This will be a 50- to 70-year asset,” said ATI Chairman, CEO and President Rich Harshman, who is also Chair of the Allegheny Conference. 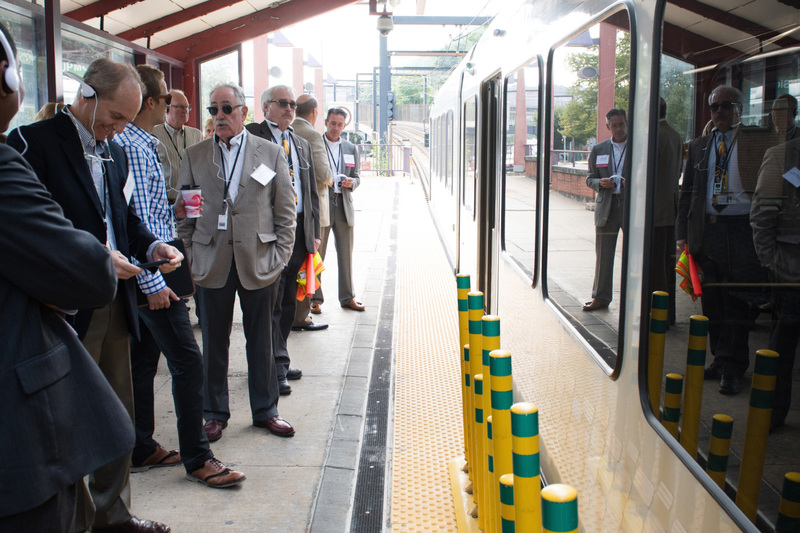 On Aug. 4, about two dozen representatives from the Conference’s Regional Investors Council saw the facility first-hand. Slabs are reheated in a furnace for about six hours, emerging a fiery orange then glide through the facility at speeds as high as 35 miles per hour. In about four minutes it is ready to ship as a thick rolled coil of stainless steel weighing 40,000 pounds. ATI’s stainless steel is used in a myriad of industries, including the commercial kitchens similar to those found in your neighborhood Eat’n Park. Richard Clark, Key Bank’s Commercial Banking Vice President-Relationship Manager, recalled trips into Pittsburgh from the eastern suburbs as a child. “You could barely make out the silhouettes of the skyscrapers downtown through the industrial smoke pouring out of the stacks. This has completely changed my view of what steel processing is about. “It’s meaningful for me to see how capital investment can translate into a long-term business sustainability and growth strategy,” Clark added. 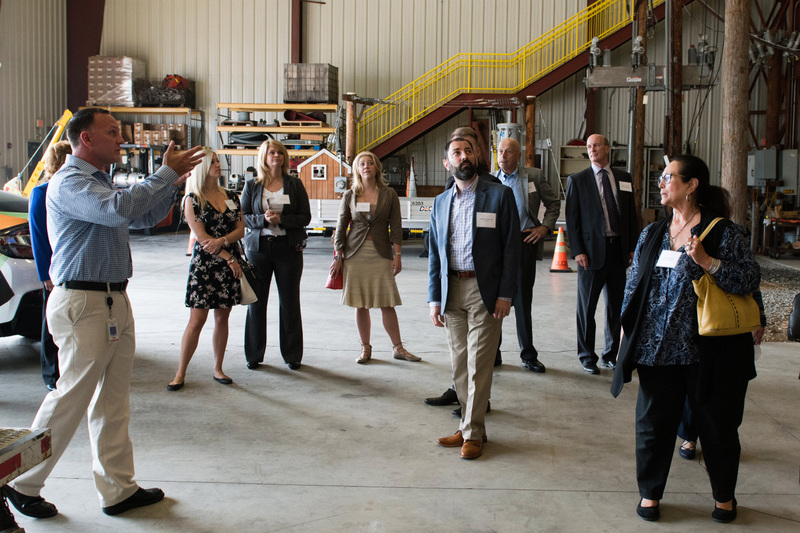 The Pittsburgh region’s wealth of research and development in metals, polymers and more makes it the ideal location for the newly funded Advanced Robotics for Manufacturing Institute, CEO Gary Fedder, told tour participants. 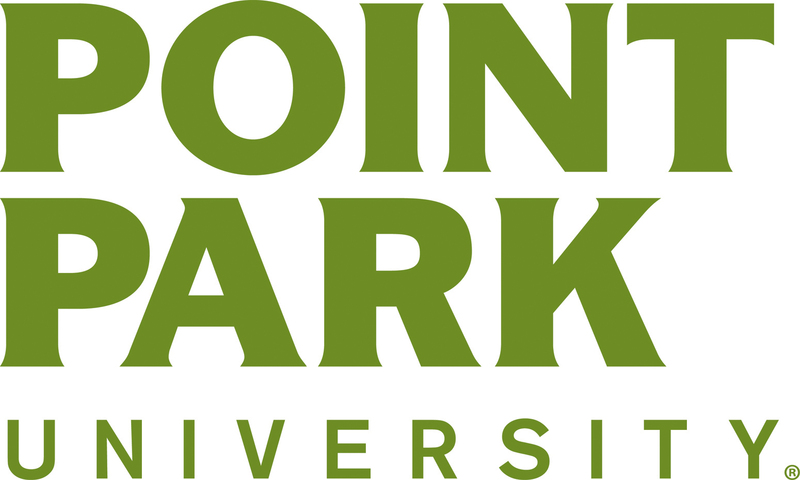 If you’re interested in learning more about advanced manufacturing or business investment in the Pittsburgh region, contact David Ruppersberger at the Pittsburgh Regional Alliance. The boat was named The Fantasy, but the discussion aboard was heavy on bracing doses of reality. 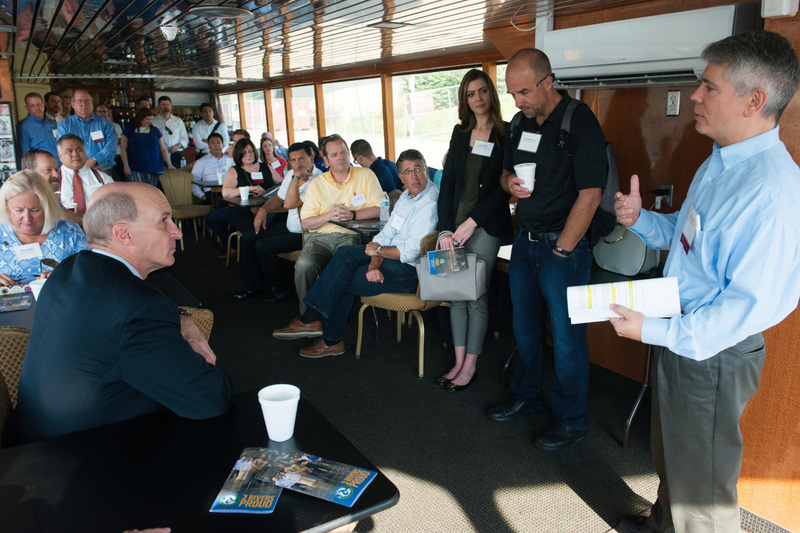 Some 40 members of the Allegheny Conference’s Regional Investors Council sailed along the Ohio River on Aug. 16 from the North Shore to Emsworth, getting a duck’s-eye view of some of the region’s most important water infrastructure assets. The reality: billions of dollars in maintenance and improvements are needed for our region’s waterways infrastructure, including the locks and dams on the Upper Ohio River. 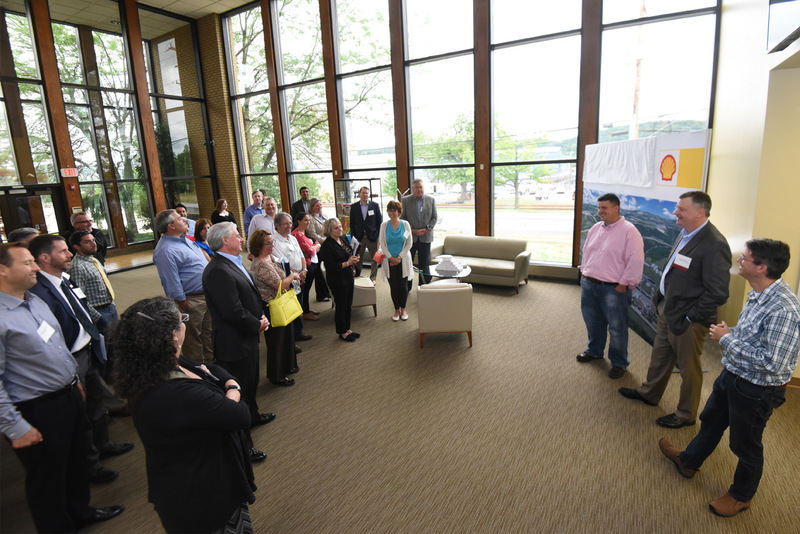 In addition, regional wastewater treatment authority ALCOSAN is grappling to secure the financing and political will to bring its 83 municipalities and Pittsburgh together to better control discharges from sewers to the region’s rivers and streams. 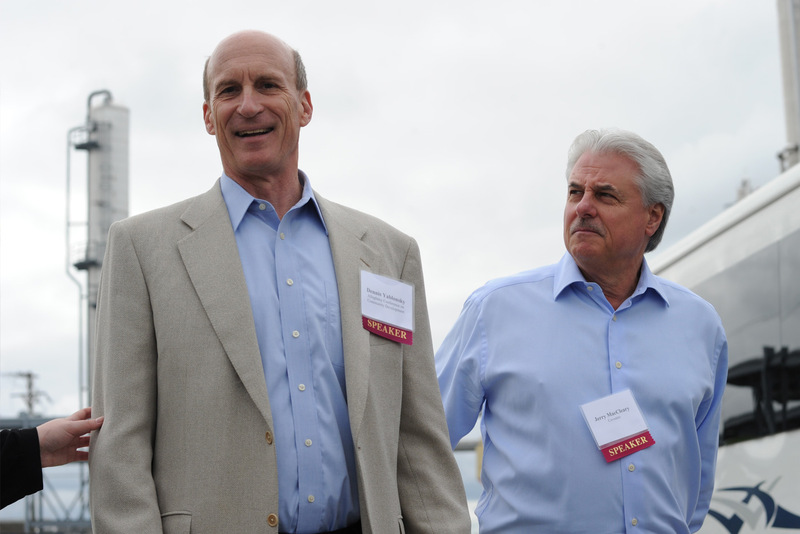 The hopeful takeaway: business and governmental leaders from disparate industries are coming together through the Conference to gain a better understanding of the issues, and how to work together to resolve them. 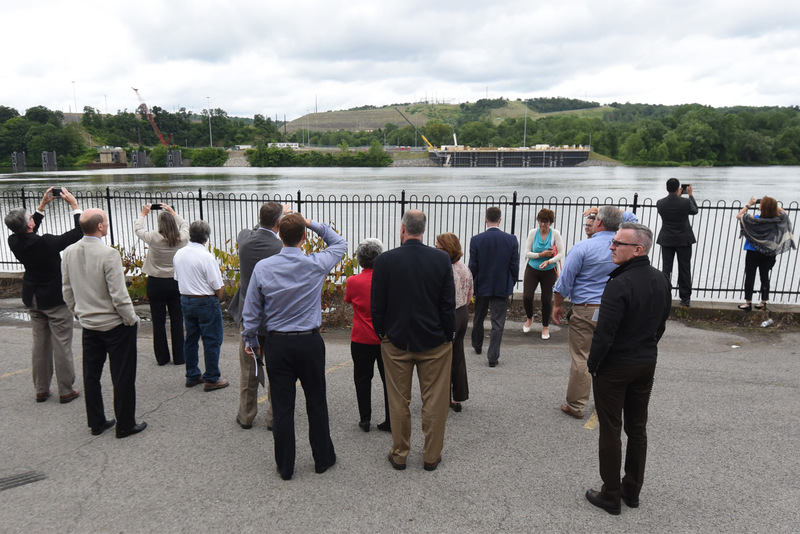 The 110-year-old Emsworth Locks & Dams are decades overdue for intensive repairs, and could fail at any time, said Mary Ann Bucci of the Port of Pittsburgh Commission. “If any of its locks were to fail, it would shut down the river. The barges would just stack up for days or weeks.” Such a crisis would also jeopardize the water supply to thousands of residents. On a neighborhood scale, the lack of controls along Chartiers Creek is impeding “main street” development in McKees Rocks, explained Taris Vrcek, executive director of the McKees Rocks Community Development Corporation. Dredging in the wake of Hurricane Ivan was not completed. But as a member of the Conference’s s Strengthening Communities Partnership for the past four years, funding and technical support for vital improvements to McKees Rocks have started to flow. The acronym on everyone’s lips was TOD — transit-oriented development. By completing sidewalks and platforms around bus and light-rail stops, struggling neighborhoods can hold onto their populations and thrive because residents commute safely and efficiently to jobs. 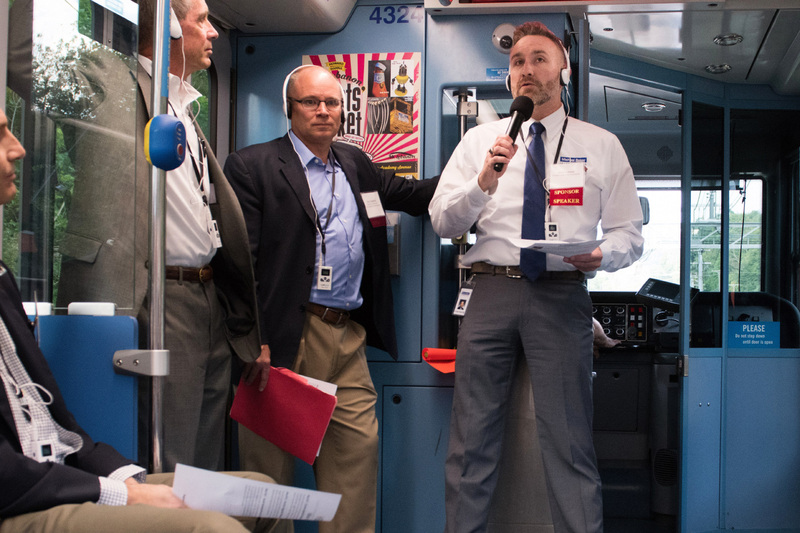 Traffic signals can be coordinated with rush-hour buses so that riders get to work on time. 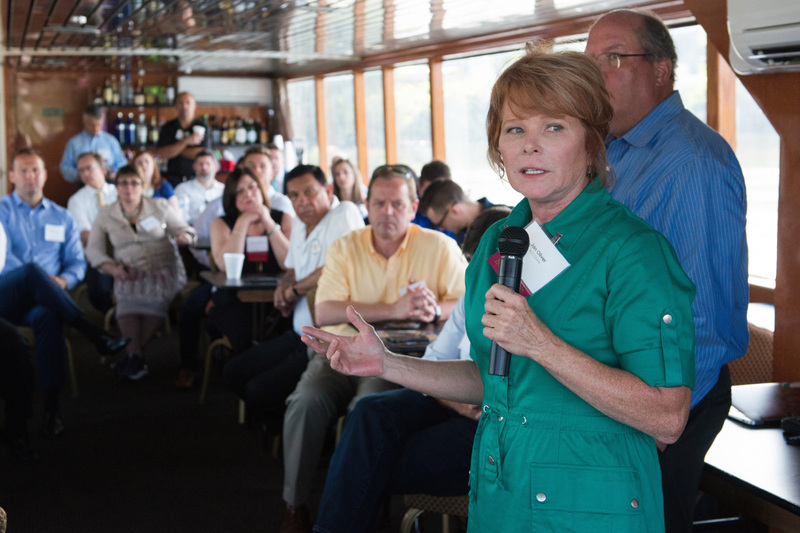 Businesses, in turn, opt to locate in those places to serve those residents. It sounds straightforward, but making it happen is complicated. 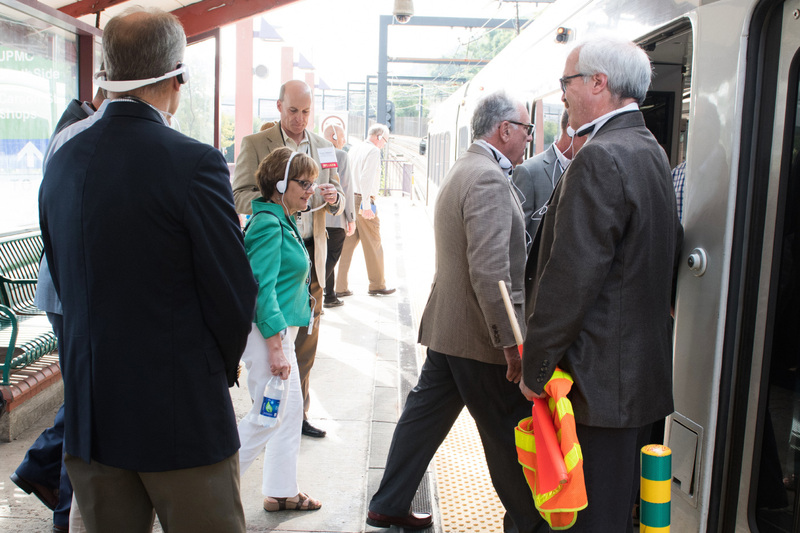 Participants in the fifth of the Allegheny Conference’s six Experiences learned that first-hand on Aug. 29, in a tour organized in partnership with the Port Authority of Allegheny County. “We have tremendous assets in the region,” said Ken Zapinski, the Allegheny Conference’s staff lead for the infrastructure strategy. “It’s a lot cheaper to make these assets function better than to build new things.” That’s Principle #1 in Imagine Transportation 2.0, the transportation vision released this year by the Regional Transportation Alliance, which is bringing together private and public entities from across 10 counties to imagine a transportation network that better connects people, jobs and communities. 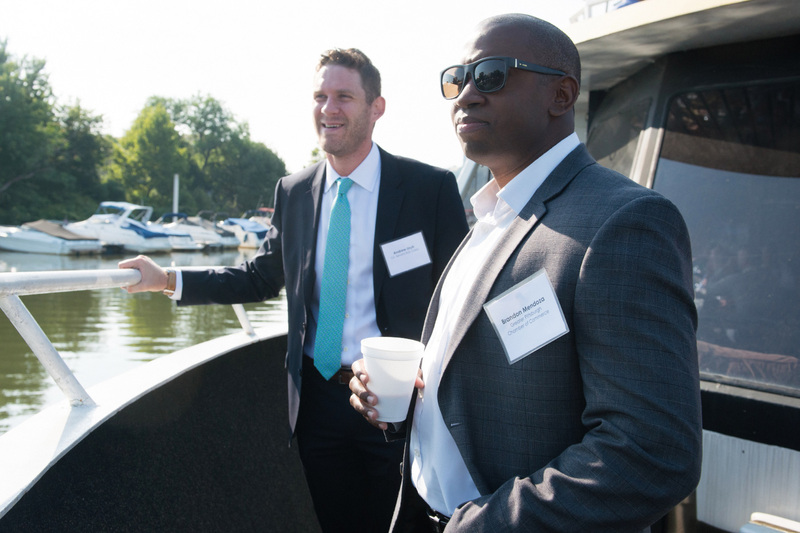 Completing these kinds of “first and last mile” projects could bring positive results for communities encompassed by Economic Development South, said Greg Jones, the organization’s executive director. 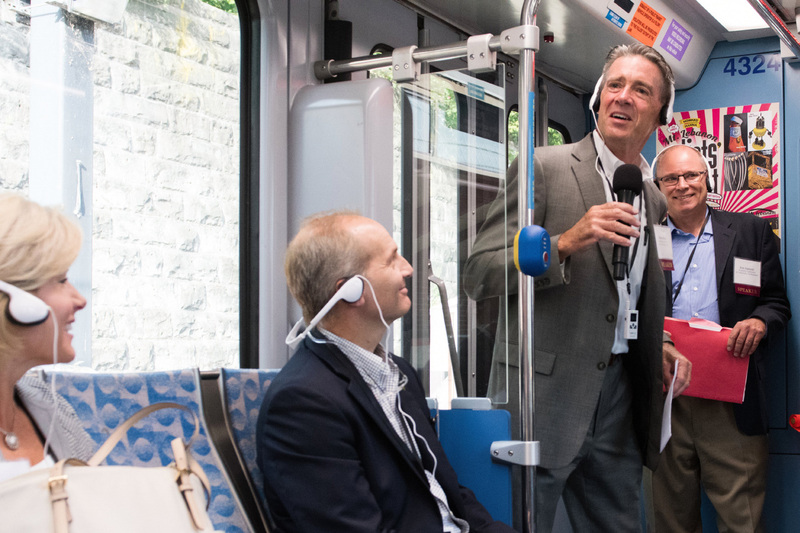 The group works to generate business and residential prosperity for neighborhoods along the Route 51, Brownsville Road and Route 88 corridors, including Baldwin, Carrick, Knoxville, Mount Oliver and Whitehall. The need to work across multiple municipalities and agencies adds a level of complexity that’s hard to overcome. On the other hand, Jones said, when community residents, policy makers and civic and business leaders get excited about a project, they have worked together to create such valuable assets as the Montour Trail. Convening those diverse stakeholders is where the Conference can make a difference. To get involved or learn more, check out the Regional Transportation Alliance or contact Ken Zapinski or Carly Dobbins-Bucklad. 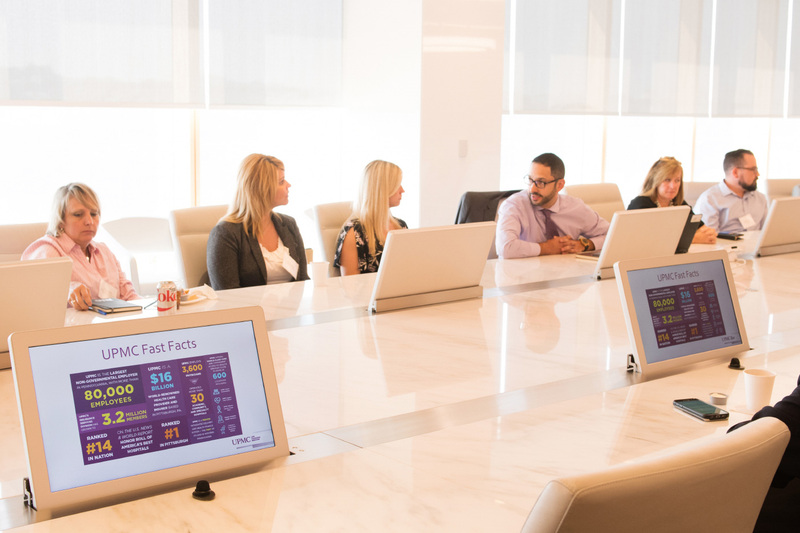 For nearly every employer, recruiting and retaining talented workers is challenging. In the Pittsburgh region, the rapidly retiring workforce – especially in skilled occupations – makes that even more acute. Fortunately, employers and educators have been able to take cues from the Allegheny Conference’s Inflection Point report to adjust everything from their job descriptions and hiring requirements to school curricula. 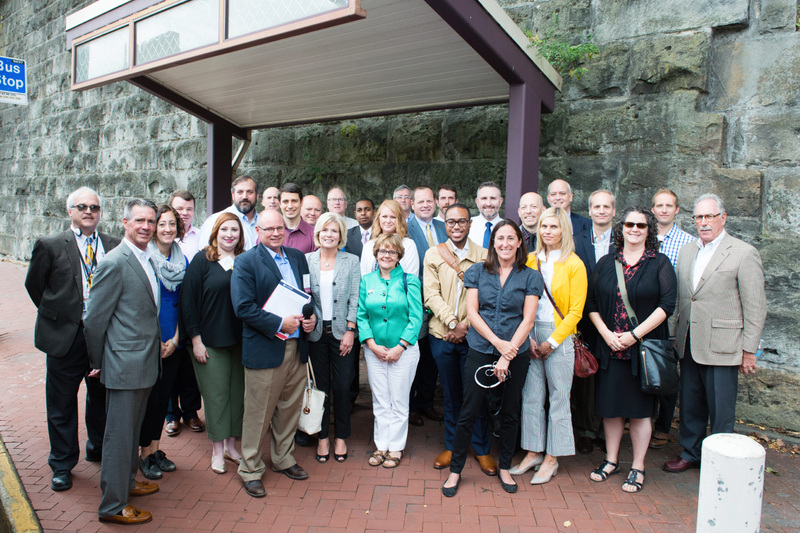 On Sept. 18, some 30 members of the Allegheny Conference’s Regional Investment Council got a first-hand look some of the fresh ideas and best practices that have resulted from Inflection Point or are in line with the transformative report’s recommendations. 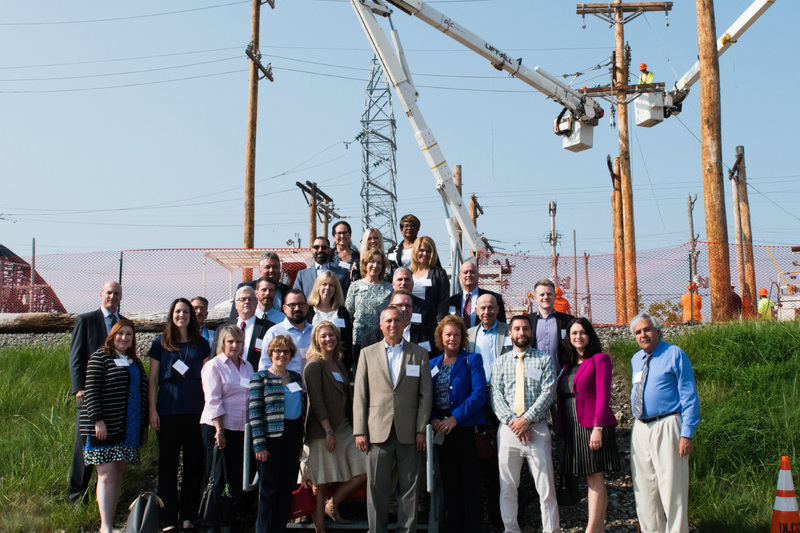 At Duquesne Light Company’s training center near downtown Pittsburgh in the city’s Chateau neighborhood, participants toured the facilities where utility workers sharpen their skills for line maintenance and repair, both high above the ground and underneath it. 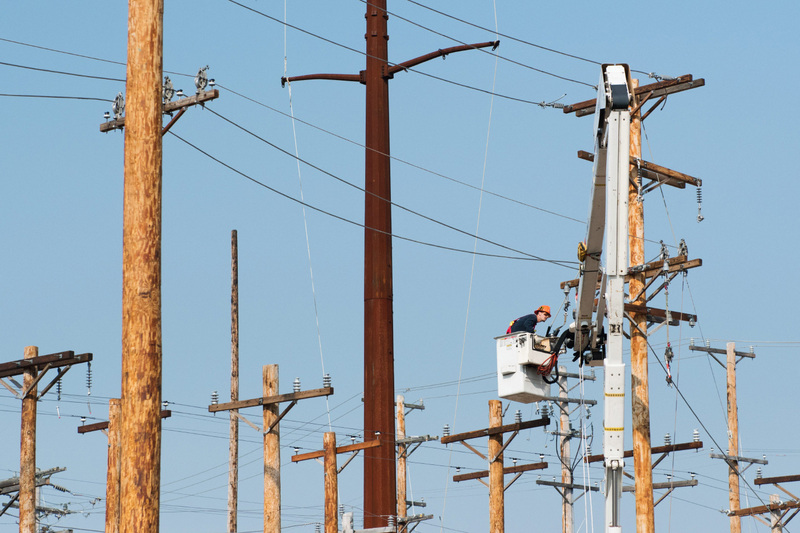 Lineworkers are in very high demand and can earn $65,000 (with sick pay and benefits) within their first five years of work. 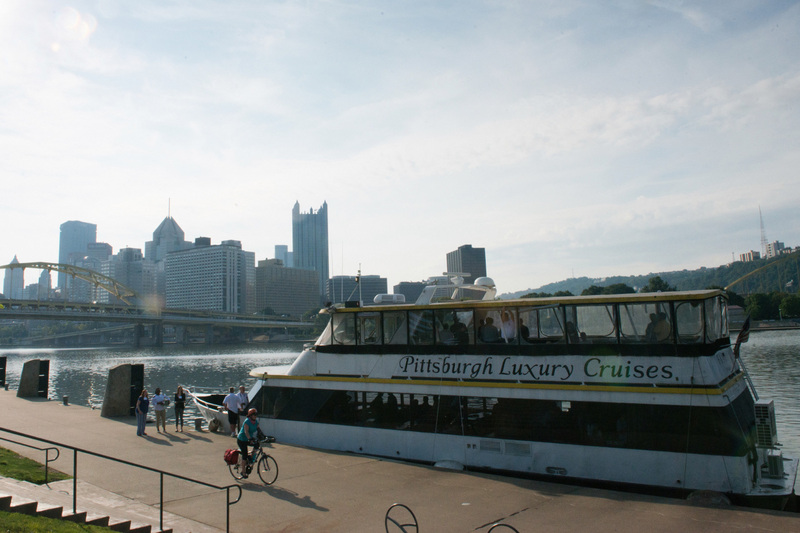 You can view the presentation that Duquesne Light shared on yesterday’s tour here. 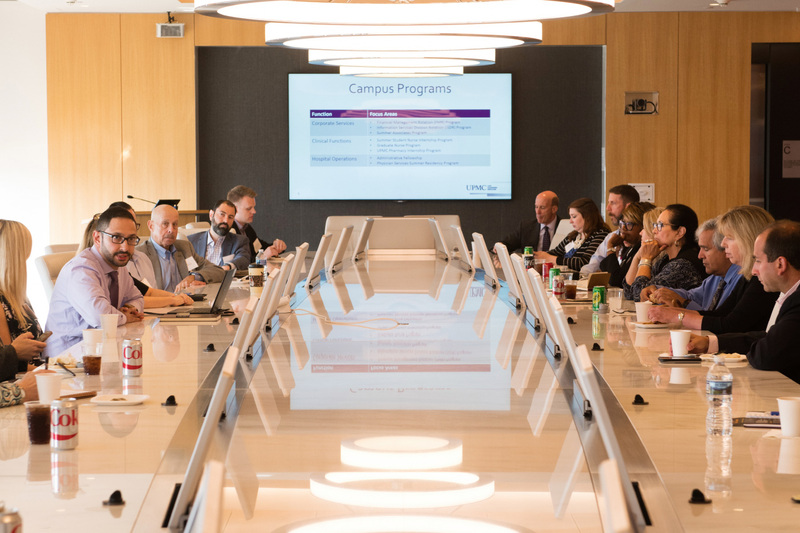 At The Tower at PNC Plaza – the world’s greenest office tower and the headquarters of PNC Financial Services Group, Inc. – participants heard from the talent attraction and retention teams at PNC, as well as from UPMC – the largest nongovernmental employer in the state. 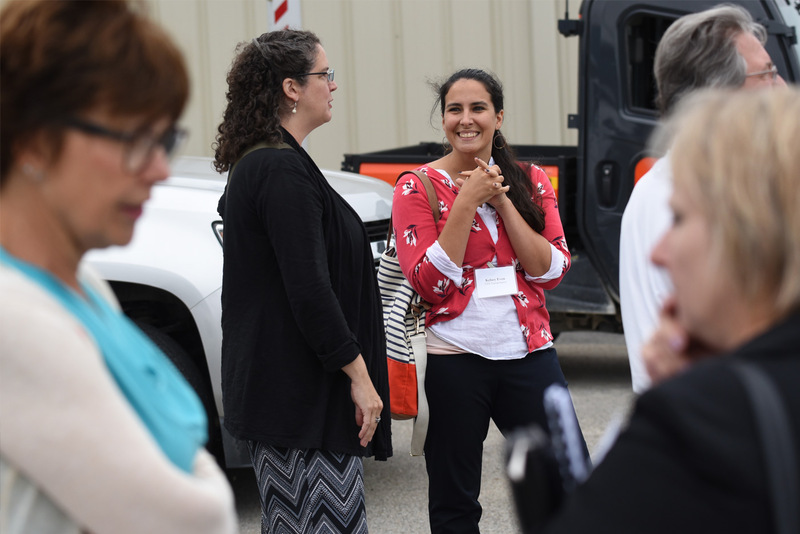 Several participants expressed appreciation for the opportunity to get out of their offices and into the field.